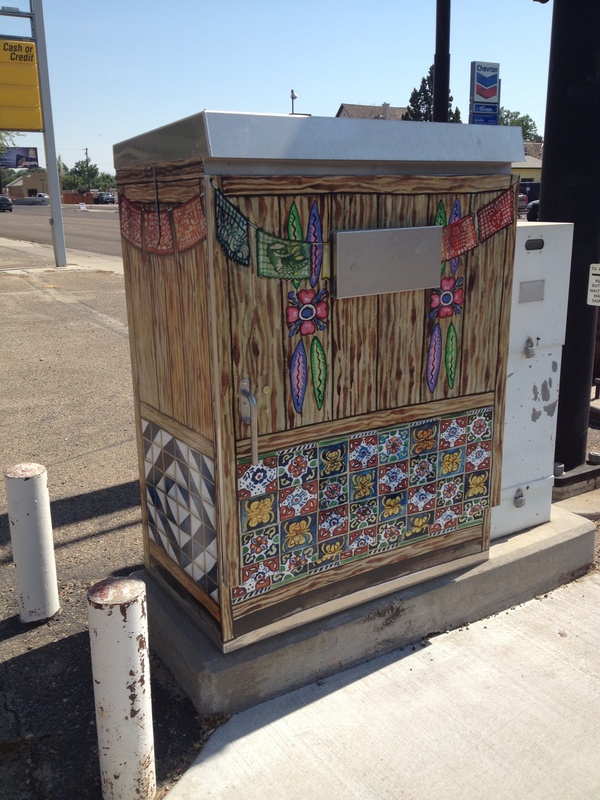 Spring of 2013 the City of Nampa, Idaho put out a call for artists to design artwork for traffic boxes in their historic downtown. 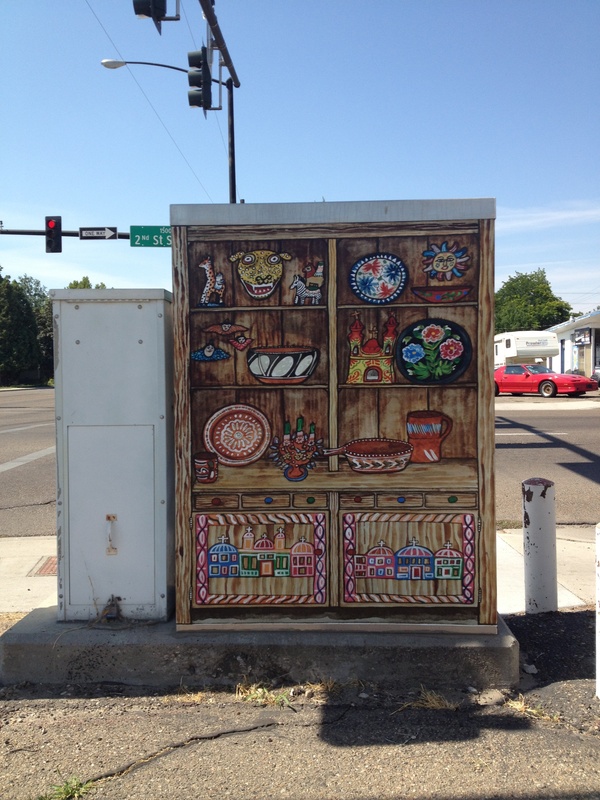 I was selected to create a design, and my idea to create a Mexican kitchen cupboard, or trastero, featuring bright pottery, folk art, tiles and papel picado was approved. Here is a closeup of the front of the trastero. 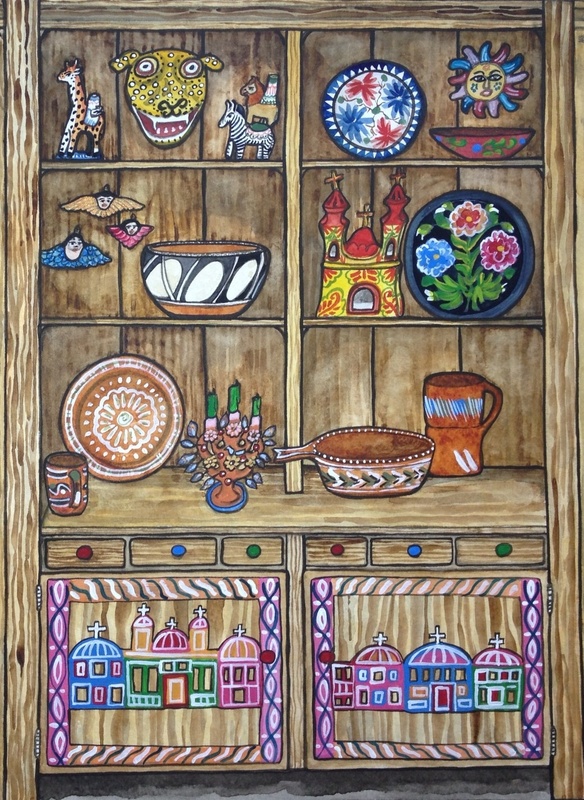 Much of the pottery, the flowered tray, the colorful chapel, and the animal figure candle holders are real Mexican folk art which belong to me and are in my Butler’s Pantry in my Artist’s Home. 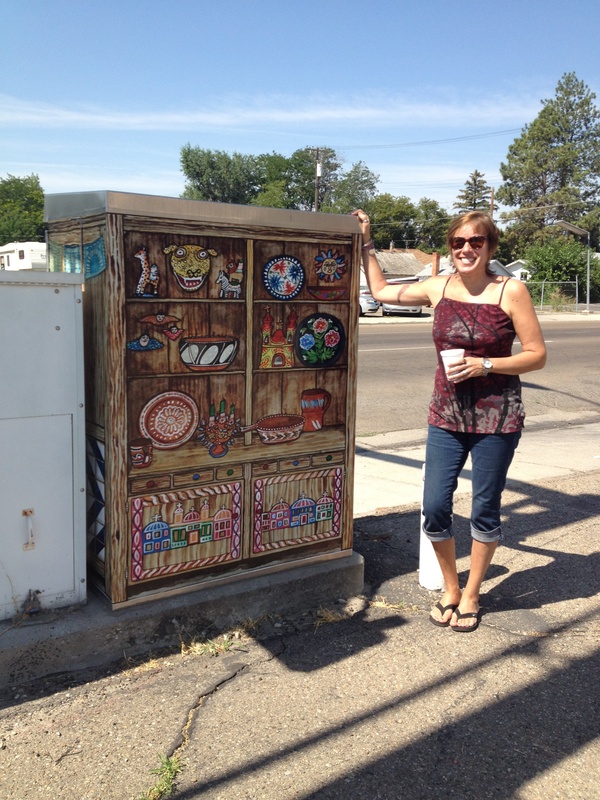 We drove out to Nampa to see how the traffic box looked before the official reveal a few weeks later. It’s always amazing to see your work blown up from a small painting on paper to a life sized work of urban art.